There are some details you should not neglect when planning a trip. Full-fledged globetrotters have to-do lists that help them secure every single little item they will need during their journey. Below are 5 of the most overlooked of those travel essentials. Some take time to secure; others are those things we easily forget. Remember: chance favors the prepared mind. Some passports are more valuable than others are. Finland, UK, and Sweden citizens are granted visa-free access to more countries in the world than anybody else. Should you need to renew your passport or secure a visa, know that the process takes time. You will need to factor that into your travel planning. Submit applications in time to get a visa appointment within 90 days of your departure date. 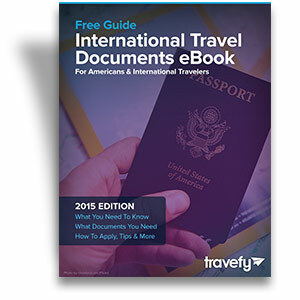 Travel documents are travel essentials you just can’t travel without. Get them early. Meds are also travel essentials we often overlook. Antifungal, antibacterial ointments and meds to fight foodborne illnesses are always good to pack. If you are traveling to a subtropical destination, you will need vaccines against common local illnesses, such as malaria. Just remember that controlled substances differ by state and country; so are the prescription and ‘over-the-counter’ meds you can carry along with you. Here are some general good practices to consider. Again, research your destination laws to save yourself trouble. What is the best way to carry or get money abroad? Should you decide to carry cash with you when traveling, you first want to know the amount you can carry across borders. Your destination’s limit might not be the same as that of your country. Second, you want to keep that money safe during your travel. You will meet all sorts of people in the road; some, awesome, some are crooks. Finally, should you decide to carry cards with you, there are some things you should consider. Check out this article for travel tips for the financially conscious. Social rules and expectations define most things related to human appearance. That is valid when you travel as well. Be wary of the cultural context you are in, and the social significance of your dress code. Pack your clothes accordingly. Depending on your destination, revealing your hair, belly, or knees will influence the locals’ reactions towards you. Research before you pack. A camera to bring back memories, a tablet to stay connected; you just can’t leave home without some travel essentials nowadays. But you should put more thoughts into the gadgets you pack for a trip. From mosquito repellants to saved Google maps to universal chargers, some little things make a world of difference. Check out Time’s list of must-have travel gadgets, and make a travel checklist to make sure you don’t forget anything. A trip requires careful planning, and it takes some thoughts and time to secure all travel essentials. Make a checklist to make sure you don’t forget anything. To help you started, here is Department of States’ ultimate travel checklist for inspiration. What do you think of this list? What did we forget and what will you add to it? Tell us all about it in the comment box below. Previous readingWhy You Should Visit Singapore Right Now!